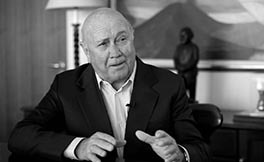 Frederik Willem De Klerk (FW De Klerk) was born in Johannesburg on 18 March 1936, the son of Senator Jan De Klerk, a senior Cabinet Minister. His school years were spent mainly in Krugersdorp, where he matriculated at Monument High School. FW is a memorable corporate speaker and fascinating after dinner speaker, combining wry humor and amazing fact. On 15 August 1989, after the resignation of President P W Botha, F W De Klerk became Acting State President, and after the general election of 6 September, was inaugurated as State President on 20 September 1989. F W De Klerk served as State President until President Nelson Mandela’s inauguration on 10 May 1994. During this period he initiated and presided over the inclusive negotiations that led to the dismantling of “apartheid” and the adoption of South Africa’s first fully democratic constitution in December 1993. After leading the National Party to the second place in South Africa’s first fully representative general election of 27 April 1994 F W De Klerk was inaugurated as one of South Africa’s two Executive Deputy Presidents. He served in this capacity until the end of June 1996 when his Party, under his leadership, decided to withdraw from the Government of National Unity. He was Leader of the Official Opposition until his retirement from active party politics 0n 9 September 1997. 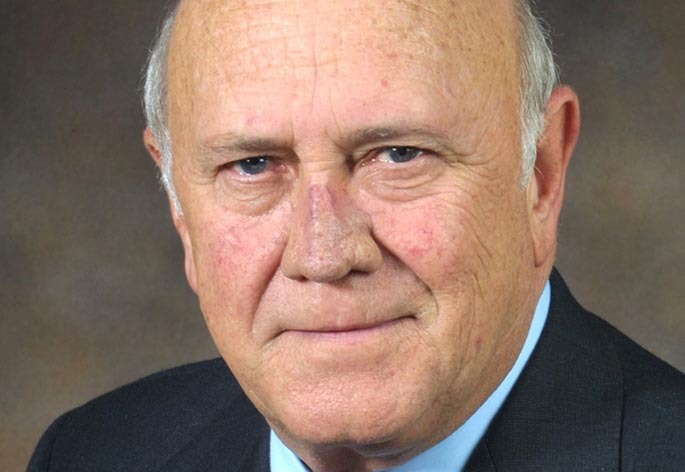 F W De Klerk is an accomplished and charismatic public speaker and has the ability to entertain and enthrall audiences around the world. Kruger Cowne Speaker Awards: Political Speaker of the Year 2008, 2006.